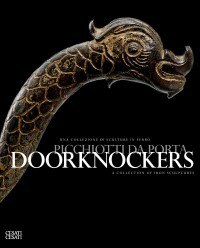 Like locks, iron doorknockers are a major subject that Alessandro e Fiorenzo Cesati have investigated and examined on several occasions. 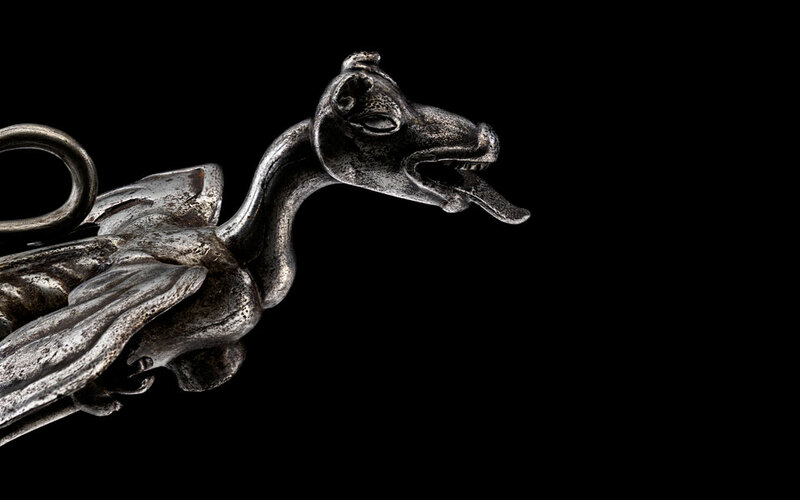 It is one which has always fascinated them and continues to offer a thrilling source of inspiration for research and study, starting with the personal and almost empathetic predilection for these intriguing artefacts, whose roots can be traced back to distant memories of family tales and experiences. 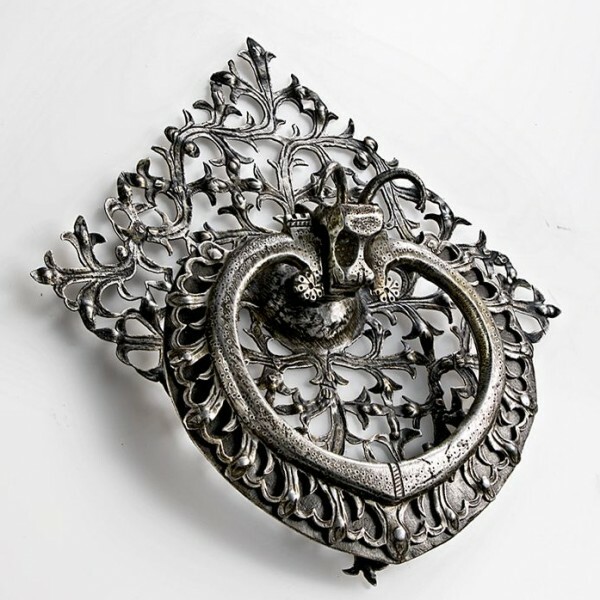 Along with locks and keys, doorknockers are the objects that are the most complex to execute in iron and that have produced the highest levels of aesthetic success. It is therefore not unlikely that some richly decorated anthropomorphic, zoomorphic or phytomorphic artefacts, like many of the ones that can be seen on the volume, were originally made as masterpieces – small masterworks worthy of their place in any ancient or modern Wunderkammer. 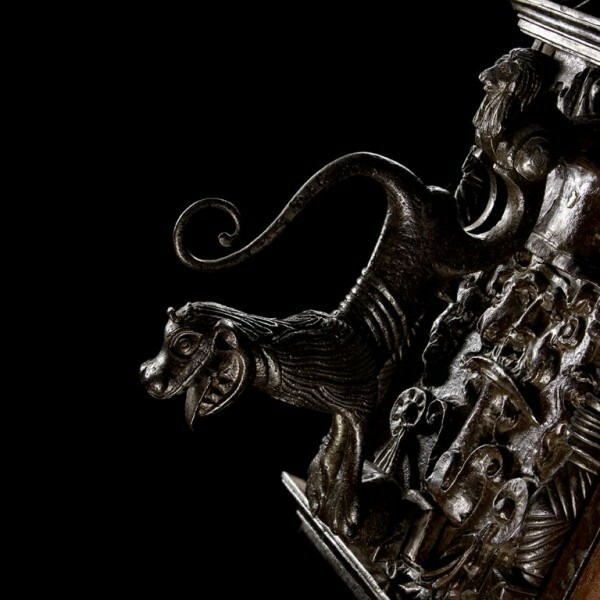 Compared to the classic and oft repeated bronze versions – from lion protomes with rings in their mouths that first appeared in the ancient world to the spectacular objects designed and executed by Venetian artists in the 16th century – doorknockers in iron are undoubtedly less known and celebrated, but perhaps even more interesting and rare because they are absolute unique and practical. 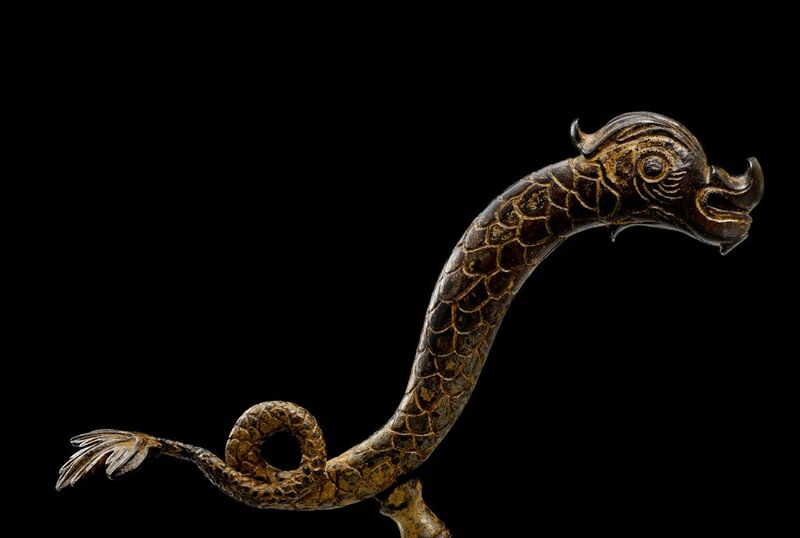 The significant set of objects chosen also documents the fantasy and imagination of anonymous but outstanding craftsmen in iron, who were able to shape such a hard and elusive material to obtain true sculptures in the space of a few centimetres. 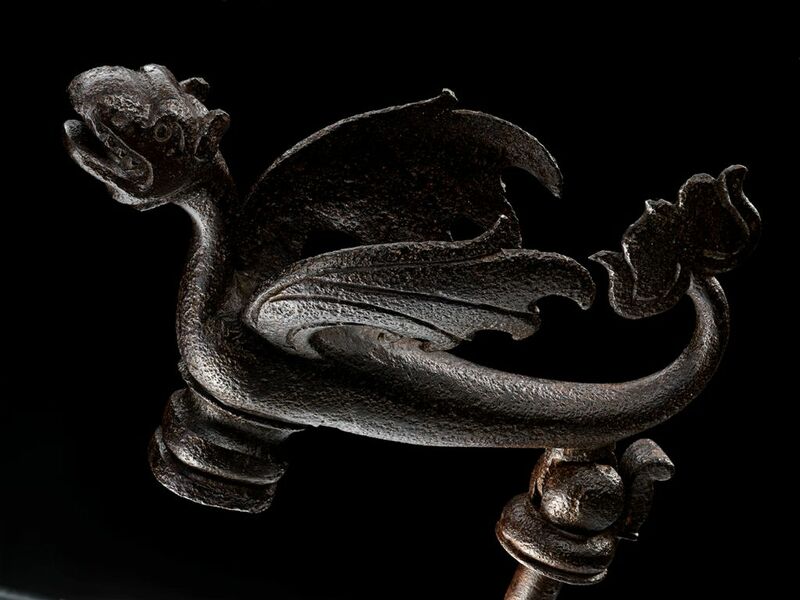 In the world of ironwork collecting doorknockers have always had a significant presence in all major public and private collections: from the all-important Musée Le Secq des Tournelles in Rouen to the Victoria & Albert Museum in London, from the Civic Art Collections of the Castello Sforzesco Museum in Milan to the many private collections in America and Europe. 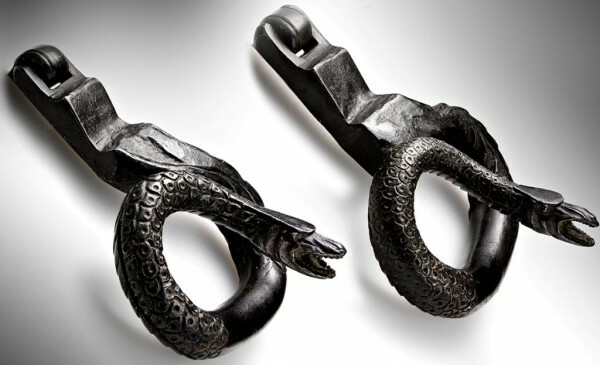 One of these is the famous Mylius collection, which has always been considered one of the most spectacular of its kind and whose story is worthy of a few words. 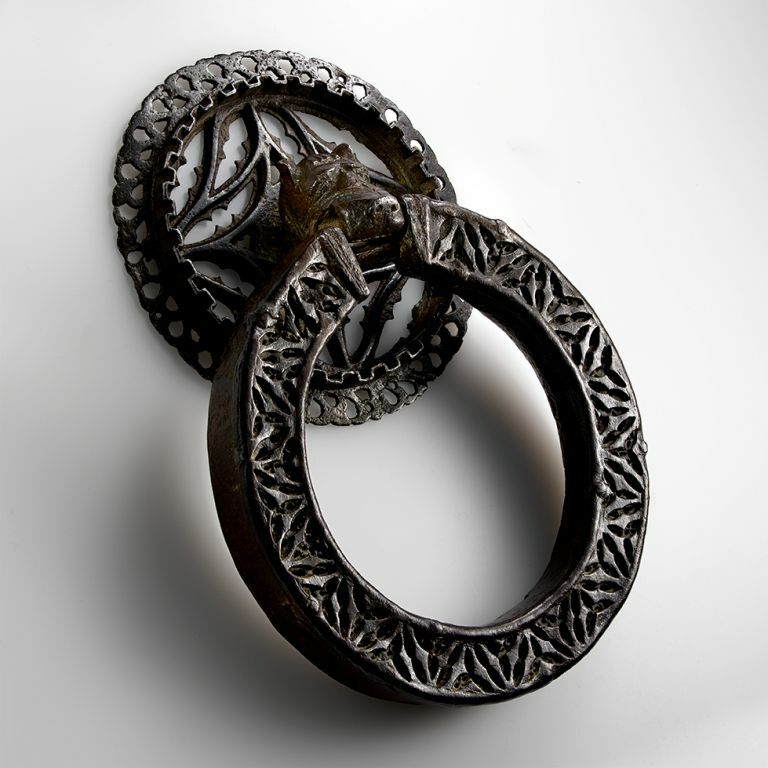 In 1905 Giorgio Mylius, a Lombard industrialist of German origin, published in Milan a monograph on the rich collection of doorknockers in iron and bronze started by his father Federico nearly thirty years before, which he expanded and completed. Central figures in Milan’s artistic and cultural life, the Mylius were certainly among Italy’s major collectors between the late 19th and early 20th centuries, and typical exponents of an eclectic and internationally mature taste (who, alas, have almost completely vanished in today’s Milan!!). 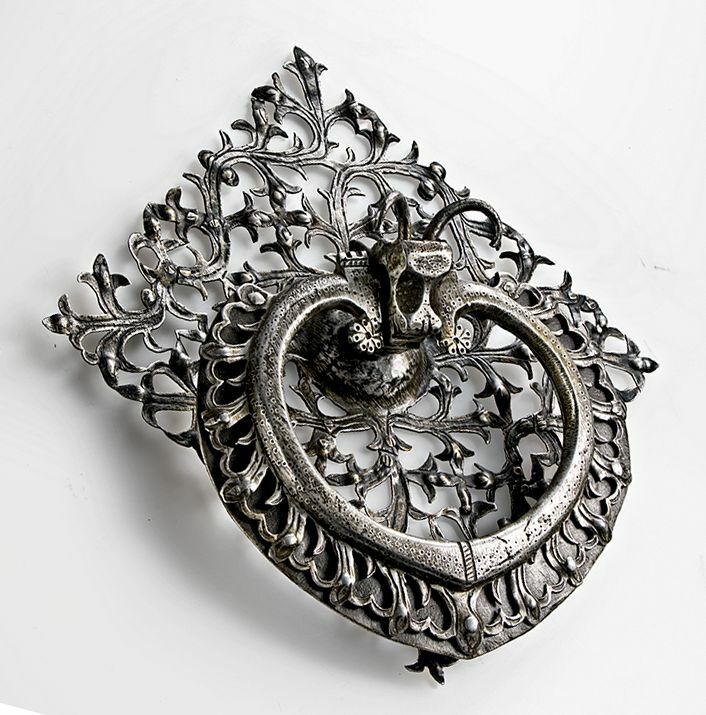 This led them, on the one hand, to commission painter Francesco Hayez to produce a version of his famous The Kiss, and, on the other, to adorn the walls of their salon with an intimidating collection of doorknockers. In terms of its breadth and quality, the Mylius collection, and particularly the doorknockers in iron, was at the time and still remains today a principal reference point. It is an unmatched unicum from which the corpus presented has drawn inspiration – both ideally and concretely – since it also includes various ex-Mylius artefacts, which have only recently again become available on the antiques market. 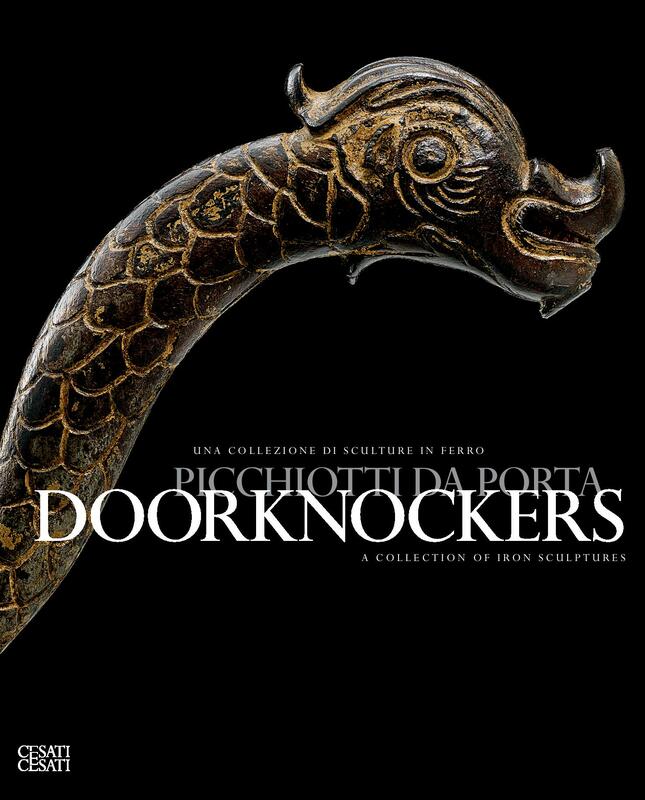 Like the spectacular protagonists of the volume LOCKS-SERRATURE, the doorknockers reproduced on the book are once again protagonists of a sequence of images which cast light on their individual plastic and artistic virtues and, as a result, emphasize the importance of their ‘visual’ role. 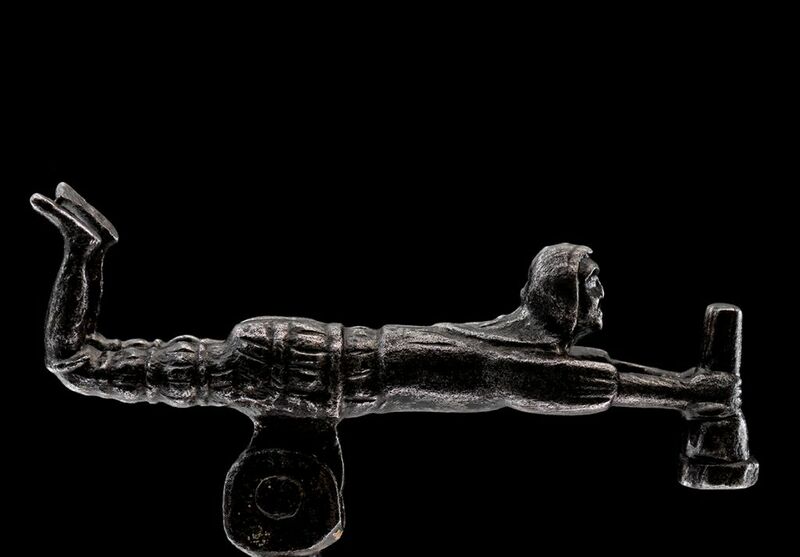 Many of the objects in iron are intentionally shown in their ‘dynamic’ phase so as to reveal their most hidden facets and to re-kindle the subtle and magical emotion experienced by those who, with the rapid gesture of knocking at the door, grasp the doorknocker and suddenly discover the most refined and unexpected details.